Who said we believe in the inerrancy of Scripture? But wouldn't that compromise the inerrancy of Scripture? Orthodoxy does not demand as a dogma that scripture is "inerrant". The Nicene Creed says that God's Spirit "spoke by the prophets", not that "whatever the prophets wrote in the Bible must be correct per their intention". Roman Catholics also believe in it, so I don't think this is a matter of Protestant fundamentalism. What do you mean "also"? I am not aware that this is part of any ecumenical council statement? No, but I don't think we're allowed to dismiss the Patristic belief in the inerrancy of Scripture just because it hasn't been ratified by an Ecumenical Council. Bible might be infallible in some sense, Ecumenical Councils might be infallible in some sense, but I am unaware of the Orthodox Church teaching infallible of patristics like the RC magisterium. Nor as I understand it is inerrancy (as opposed to infallibility) a definite EO teaching like it is for fundamentalists. Fwiw I've found, in trying to come to terms with this stuff, that a distinction between 'inerrant' and 'infallible' can be helpful. * Inerrant here would mean 'incapable of any error of any kind' and infallible would mean something along the lines of 'incapable of deception or leading astray in substance.' Clerical errors, conflating passages, misquotes, etc. would then not detract from the Bible's infallibility, because God can guide and direct and lead even when humans in our weakness make a mistake. Tbh I don't really understand how someone who knows about all the variations in manuscripts and whatnot can possibly say the Scriptures are without differences of any kind. You could speculate that about the original documents being perfect, but we don't have any of those, and there's no possible way that it can be said of the thousands of manuscripts which disagree not just in spellings or individual words, but sometimes entire passages. For example, the author of the book of Daniel describes Belshazzar as the "king" of Babylon and as the son of Nebuchadnezzar (r. 605-562 B.C. ); but, in fact, Belshazzar was the son of King Nabonidus (r. 556-539 B.C. ), and never became king himself, although he did serve as viceroy during his father's absences (see Dn 5:1-31). For another example, many scholars think that the story of God's creation of the world in the first chapter of Genesis assumes that "the universe [is] enwrapped in waters held back by a solid bell-shaped barrier called the firmament"12 — and such an assumption is certainly at odds with what modern science has to say about the cosmos. But these kinds of historical and scientific inaccuracies do not undermine the coherence and validity of the essential theological message of Holy Scripture. The Orthodox Church, in affirming the divine inspiration and infallibility of the Holy Bible, does not exclude the possibility that the Bible might contain some minor errors of fact, but she insists upon the absolute truth of scripture's overall message of salvation. 9 Thomas Hopko, The Orthodox Faith, vol. 4: Bible and Church History (Orthodox Church in America, Department of Religious Education, 1973) 5-6. 12 Raymond E. Brown, et al., eds., The Jerome Biblical Commentary, vol. 2: "The New Testament" (Prentice-Hall, 1968) 512. So the Church looks in the Bible for "the coherence and validity of the essential theological message of Holy Scripture", not for inerrancy on all facts stated in 1000+ pages. So much for consensus patrum and lex orandi. Feel free to engage in the discussion about how to evaluate the claims of Evolution, Creationism and Inerrancy. For example, do you believe in the Water Canopy theory outlined in Genesis 1 or should Genesis 1 be taken as an allegory. My persistent question is: what a 20th century AD coherent description of evolution would read like in 15th century BC Hebrew? Would it be understandable by us? Would it require text that is as large as the entire Old Testament to make it understandable to the Hebrews at the time and would all of the gibberish involved be counterproductive to providing the essential information of Genesis given the audience? I see no purpose in having knowledgeable Hebrew molecular geneticists at hand for replicating Biblical texts correctly. I have never seen anyone who complains that it is not in the bible proffer what it would look like if it were in the bible with the vocabulary that was available at the time. We access true things when our senses (including the "nous" for the Cartesian Orthodox) cause copies of those things to exist in our minds, which are analagous to inner movie screens. 1. It's actually not that Hardin Hebrew to describe basic evolution, especially since the Virginia birth could be described in Greek and the old Testament talksabout giving birth to a red head esau. ... to engage in the discussion about how to evaluate the claims of Evolution, Creationism and Inerrancy. For example, do you believe in the Water Canopy theory outlined in Genesis 1 or should Genesis 1 be taken as an allegory. I welcome you to expand your ideas on this. I am most grateful for your exceedingly gracious invitation, which is a precious sign of your tremendous good will and benevolence which are not unnoticed by those who have the sensitivity of heart to perceive such things. Modern Hebrew or 1500 BC Hebrew? It makes no sense to use a Lexicon that dates 800 BC or later. We know even less about pre-Homeric (by about 700 years) Mycenaean Greek in this time period so that is not helpful. I think the closer approximation would be to use the Sumerian lexicon (http://www.sumerian.org/sumerlex.htm). You wouldn't make much money trying, but if you could achieve this using Egyptian Hieroglyphics, you would be set for life from selling your large size, coffee table, art book. Unique curiosities always sell. In any case, whatever you could come up with based on limited vocabulary would not be the truth nor would it be useful as part of a bible in my opinion. I really don't think the language is the issue, since Ancient Hebrew is well translated into many languages and is quite close to Aramaic, which remains until today, when it is a modern language. In Genesis 1's Creationism, Adam is created directly out of the clay and isn't born from an ape or primate mammal like in Evolution. If someone imagined evolution, they could say that one kind of animal (eg. fish) mutated or changed at birth into another kind of animal (eg. fish). The animals gave birth to other kinds of animals, and in one such step, a human was born from an animal. Evolution vs. Creationism isn't really the only issue though. There are actually plenty of issues in Genesis that don't match our understanding of geology or cosmology like the story of Noah's Ark and the Great Flood, or the teaching about the waters resting above the firm layer ("firmament') of the heavens into which the stars are fastened. It was very good. 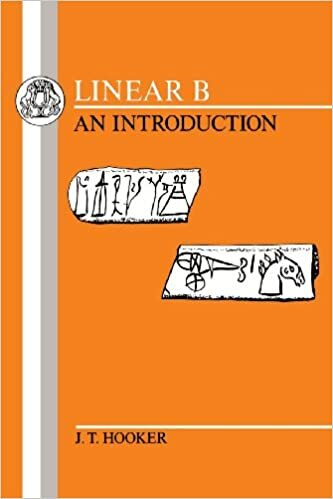 Someone should rewrite Genesis in Linear B. It'd be a fun project. Or if not that, maybe one of the various Mayan languages? Maya culture is always popular with people in the U.S. Then you could translate it from Mayan into Spanish, which is also being a huge market in Central and Southern America. You spread the truth and reap 30 fold from the talent you invested in translations and literary publications. This is perhaps too ambitious, however. However, I must disagree with you in saying that such a publication as you describe, with such a limited vocabulary, would not be truthful or useful. Consider how 'simple' Genesis is compared to St. Paul, or St. Paul to St Maximos. All were able to elaborate more philosophistically than the former, expanding, expanding, but this did not mean the simpler was therefore untruthful by virtue of its simplicity. What are your thoughts on this, Opus118? What is the underlying purpose of the gospel? What exactly did Christ come to achieve? Why? This is what I was trying to convey Asteriktos, but apparently failed. Why add information that is not needed and would only detract from the purpose of Genesis. And even if you stick some more detail in there, it would only create greater misconceptions with 19th century literalists (and consternation for the Hebrews). I was thinking a one liner time capsule might work whose meaning would only become apparent in the 20th century like, on the fifth day God created the Sea Squirt (a rudimentary chordate) followed by ...., but that runs into the problem of who gets to name the Sea Squirt later on. (1) the earth is a round globe instead of a "stretched out" "disc" with "ends" that sits on "pillars". (2) And the heavens are not a firm layer into which the sun and stars are fastened and on top of which rests a mass of liquid water that rained down past the stars during the Great Flood. (3) The sea levels rose significantly in c.10000 BC, but there was no Great Flood that covered the whole earth and killing everyone but Noah's family and the animals on board. In that case, should I teach those things to ancient people as fact because it would be too hard and technical to explain geology in the ancient Hebrew language? Or are we forced to say that they are instead stories containing spiritual truths and only partial factual basis? Same thing goes with Creationism and the Biblical teaching that Adam was created directly out of the earth vs. Evolution and the teaching that the human race was born from mammals. There is no need to worry about the correct scientific name for Sea Squirts. Spike Psarris was previously an engineer in the United States’ military space program. He entered that program as an atheist and an evolutionist. He left it as a creationist and a Christian. This site is dedicated to exposing the bankruptcy of the evolutionary model, especially in astronomy. makes it suspect. Consider this comparison. Now, you as an astute Orthodox Christian will ask, what is the credentials of this organization in calling itself an Orthodox Church? Who is the bishop of this Church? Who's the patriarch? Another comparison is also this organization that calls itself "Shine International", started by Atef Meshreky turned OCA monk. For sometime, they had the bio available of this man (who's now called Fr. Macarius). He's no longer there (maybe OCA is deciding to be a little stricter with him?). Nevertheless, this organization is very clear it's made up of many denominations and there is a removal any direct or indirect association with the OCA, at least publicly, so as not to give false credentials. Same thing with Spike Psarris. As someone who is very much involved in the science world and academia. What are his publications? What are his references who can vouch for his work in the military space program (a very vague phrase)? What type of work did he do in the program that makes him qualified to speak about creationism and astronomy? You know, I can say, "Hi, I'm a doctor." But the government also has to sanction my practice, and if I'm not a licensed practitioner (which is readily available online), my MD or DO is not enough. Given my previous research of organizations like the Creation Institute or Discovery Institute, it has been associated with a lot of lies and deceptions that frankly, I can't really trust this source without proper credentials. How do I know he was an atheist turned believer? What's his life story? What references or witnesses do you have that can vouch for your story? Psarris doesn't seem to have much of that. If I can't convince programs and hospitals to hire me based on two or three sentences, then you as an informed and intelligent human being should also be on your guard for someone who does not like to make his credentials so clearly available, especially when he wants to sell you something or be an official voice of publication and views. Spike Psarris has a Bachelor's of Science in Electrical Engineering from the University of Massachusetts, and has done graduate work in Physics. So basically, this guy has a bachelor's degree. That's it. I'm not sure he is exactly what anyone should consider as a heavyweight in the scientific community. The problem I have with guys like this is that their resume is normally very thin, and they puff it up as much as they can to the point of obvious deception and then they try to proclaim they have a "ministry" which is really them peddling videos and books using recycled arguments and flawed data. I used to be a young earth creationist, but the blatant dishonesty of the movement really forced me to take a closer look at what they claim and after looking at both sides, I think it is pretty clear to an unbiased observer that the creationist movement is significantly more dishonest about their methods and credentials. And sadly, it's the dishonesty of these men that lead so many Western Christians into being "nones" at the very least. Young earth creationism is one of the most dishonest, stupid, ignorant, nihilistic, ridiculous views of the world that exists. They are wrong in ever sense of the world an they unfortunately make secular People run away from christianity as a whole because of their colosal stupidity. 1) Even though the author denies the similarities of the argument to gnosticism, I think it still reeks of gnosticism. 2) It doesn't answer the question of when exactly the fallen Adam and Eve entered fallen history, and how do they relate to the genealogies of the OT. 3) I don't think what he calls "theistic evolutionism" necessarily has to put the blame of evolution, the futility of creation and the suffering of animals on God. One of my favorite theories regarding this, based on the scholastic tradition of Thomas Aquinas regarding angels (who at the same time took it from some Church Fathers such as Pseudo-Dionysius and I believe John Scotus Eriugena), is that due to the great power they were given at the beginning over the physical creation, it's not entirely unreasonable to believe that evolution was a result of the fall of angels from Heaven, who from the very beginning tried to distort and corrupt God's creation (leading up to evolution). It still has some problems, such as how to interpret the entrance of sin into the world "through one man" and the cosmic effects of original sin. But I think it's the only theistic-evolutionist position that doesn't make God look like an evil or incompetent Demiurge. Do animals sin? And is it man's fault that some dinosaurs ate others? Maybe we shall question the traditional view of God's sovereignty? Perhaps freedom is something that God is not completely sovereign over as in God controlling the freedom of creatures, but rather that God's sovereignty lies in that he can accomplish the things he wants based om tre circumstances? He knew what all freedom would lead to. Therefore God accomplishes the best posssible outcome of that freedom through his sovereignty. I don't really know the answers to your questions. This is something I struggle a lot with. It's either man's fault or God's, because if we know that death and struggle won't exist in the world to come, why didn't God create a perfect world from the beggining? If God created everything that way because He knew beforehand that man would sin and thought it was the best for us, why did He create at all? Was it worth it? These are Khramov's main issues with theistic evolutionism, and I think they're legitimate concerns. As I suggested above there's also a third option, which is to put the blame on the Devil and his host of fallen angels, but this isn't a very popular theory (at least in Eastern Orthodoxy). In this view, man (Adam) was created immortal and put in a safe place to redeem an already corrupted world and bring it again into communion with God ("The LORD God took the man and put him in the Garden of Eden to work it and take care of it. "), but failed, which is why Christ, the Son of God and a second Adam, was needed to redeem both man and the whole of Creation. Regarding your 1) I would agree and felt that there was a problem here. Rather than gnosticism though it struck me as being a little too close for comfort to Origenist beliefs such as the pre-existence of souls and an eternal/complete return to an original state/beginning. I don't think Khramov is teaching these, but some of the things he says seem to me to be 'in the same neighborhood,' or somewhat inspired by the ideas. There is a long history of orthodox-izing Origenist passages, so I don't have a problem with that in principle; nonetheless at times I felt like he was going a bit too far. I'm gonna have to go back and review some things on Origen before I get more specific on this though. Perhaps Berdyaev as well. He speaks of a "state of being" before the creation of the physical universe, but I believe this runs into a problem if he is positing a purely 'spiritual' state. As St. John and others have said, only God is truly incorporeal, because only God is uncreated. Not even angels are completely 'spiritual,' nor are human souls/spirits. Or at least I do feel like he is leaning towards over-spiritualizing things, especially given how important the ontological change he describes is: how the entire physical universe was created as a result of the fall, how human biology is something post-fall, etc. But perhaps he did not mean to imply that this, and I am reading too much into it. "God cannot immediately return human beings to Paradise without violating their freedom. On the contrary, theistic evolutionists have to admit that God placed humans in the world full of death and suffering by default, without any decisions on this matter from them, although he could have made them perfect and immortal from the very beginning." Is he here implying that each of us coming into a world of sin is justified because he somehow merited or earned or reaped it before the existence of the universe? That would go against orthodox doctrine as I understand it. One orthodox way of putting it is that we all sinned in Adam/Eve, that we weren't just descended from them but in some way also sinned with them and were in them. That's all very vague, but if something like that is what he means to say, I don't see how either his POV or that he attributes to Western theology escape the problem he mentioned above. It's also worth pointing out that God does in fact violate our freedoms, at least in the manner he is discussing. Even St. Gregory of Nyssa, who he references frequently, says so explicitly in some places (such an idea in his On Infants Early Death was mentioned not too long ago). Another thing I wonder about is the existence of humans pre-universe, and then their eventual return. Basically he is saying that humans fell, the universe was created as a context in which created beings could exist and live, but then billions of years passed before our solar system got started, then billions more before life on earth got started, then billions more before homo sapiens got their start, then tens of thousands more before we figured out how to even make fire and language, and so on. The part I have trouble with is not the time by itself, but the idea that humans were around way back when before the universe was created, and then they weren't around for 14 billion years, and then they came back again, but in biological form this time. Maybe this isn't so very different than various things suggested by theistic evolutionary models, and taking time out of the equation makes it less bitter, but either way it's hard for me to wrap my head around. Anyway, despite my questions and concerns, I found certain parts of the article to be quite interesting. I think some of it also underlines where there do, indeed, seem to be differences between eastern and western theologies. Eventually I'd like to take a closer look at his sources and reread it. In the opinion of some, those animals which now are fierce and kill others, would, in that state, have been tame, not only in regard to man, but also in regard to other animals. But this is quite unreasonable. For the nature of animals was not changed by man's sin, as if those whose nature now it is to devour the flesh of others, would then have lived on herbs, as the lion and falcon. Nor does Bede's gloss on Genesis 1:30, say that trees and herbs were given as food to all animals and birds, but to some. Thus there would have been a natural antipathy between some animals. They would not, however, on this account have been excepted from the mastership of man: as neither at present are they for that reason excepted from the mastership of God, Whose Providence has ordained all this. Of this Providence man would have been the executor, as appears even now in regard to domestic animals, since fowls are given by men as food to the trained falcon. (Summa Theologica, I, q. 96 art. 1). I know that's very far from being a consensus patrum, but it's something. By the way, what do you think of my theory of fallen angels being the source of natural corruption and death? Chapter 4.— Of the Nature of Irrational and Lifeless Creatures, Which in Their Own Kind and Order Do Not Mar the Beauty of the Universe. But it is ridiculous to condemn the faults of beasts and trees, and other such mortal and mutable things as are void of intelligence, sensation, or life, even though these faults should destroy their corruptible nature; for these creatures received, at their Creator's will, an existence fitting them, by passing away and giving place to others, to secure that lowest form of beauty, the beauty of seasons, which in its own place is a requisite part of this world. For things earthly were neither to be made equal to things heavenly, nor were they, though inferior, to be quite omitted from the universe. Since, then, in those situations where such things are appropriate, some perish to make way for others that are born in their room, and the less succumb to the greater, and the things that are overcome are transformed into the quality of those that have the mastery, this is the appointed order of things transitory. Of this order the beauty does not strike us, because by our mortal frailty we are so involved in a part of it, that we cannot perceive the whole, in which these fragments that offend us are harmonized with the most accurate fitness and beauty. And therefore, where we are not so well able to perceive the wisdom of the Creator, we are very properly enjoined to believe it, lest in the vanity of human rashness we presume to find any fault with the work of so great an Artificer. At the same time, if we attentively consider even these faults of earthly things, which are neither voluntary nor penal, they seem to illustrate the excellence of the natures themselves, which are all originated and created by God; for it is that which pleases us in this nature which we are displeased to see removed by the fault—unless even the natures themselves displease men, as often happens when they become hurtful to them, and then men estimate them not by their nature, but by their utility; as in the case of those animals whose swarms scourged the pride of the Egyptians. But in this way of estimating, they may find fault with the sun itself; for certain criminals or debtors are sentenced by the judges to be set in the sun. Therefore it is not with respect to our convenience or discomfort, but with respect to their own nature, that the creatures are glorifying to their Artificer. Thus even the nature of the eternal fire, penal though it be to the condemned sinners, is most assuredly worthy of praise. For what is more beautiful than fire flaming, blazing, and shining? What more useful than fire for warming, restoring, cooking, though nothing is more destructive than fire burning and consuming? The same thing, then, when applied in one way, is destructive, but when applied suitably, is most beneficial. For who can find words to tell its uses throughout the whole world? We must not listen, then, to those who praise the light of fire but find fault with its heat, judging it not by its nature, but by their convenience or discomfort. For they wish to see, but not to be burnt. But they forget that this very light which is so pleasant to them, disagrees with and hurts weak eyes; and in that heat which is disagreeable to them, some animals find the most suitable conditions of a healthy life. Chapter 5.— That in All Natures, of Every Kind and Rank, God is Glorified. All natures, then, inasmuch as they are, and have therefore a rank and species of their own, and a kind of internal harmony, are certainly good. And when they are in the places assigned to them by the order of their nature, they preserve such being as they have received. And those things which have not received everlasting being, are altered for better or for worse, so as to suit the wants and motions of those things to which the Creator's law has made them subservient; and thus they tend in the divine providence to that end which is embraced in the general scheme of the government of the universe. So that, though the corruption of transitory and perishable things brings them to utter destruction, it does not prevent their producing that which was designed to be their result. And this being so, God, who supremely is, and who therefore created every being which has not supreme existence (for that which was made of nothing could not be equal to Him, and indeed could not be at all had He not made it), is not to be found fault with on account of the creature's faults, but is to be praised in view of the natures He has made. Sounds like Optimism. Maybe des Cartes, Leibniz, et al. drew on Augustine as an influence. The Holy Apostles pose somewhat of a check to this "all is good" theorizing, viz., e.g. "For we know that the whole creation groaneth and travaileth in pain together until now" (St. Paul); "the whole world lieth in wickedness" (St. John) -- the world requires a Savior. A little boy goes to his Dad and asks, "Dad, where did humans come from?" His father says, "Well, we descended from apes." The little boy goes to his Mom, "Mom, where did humans come from?" His mother says, "We were created by God in the image of God." The boy says, "But Dad says we are descended from apes." Mom says, "Well, I was talking about my side of the family." WASHINGTON, D.C. -- The percentage of U.S. adults who believe that God created humans in their present form at some time within the last 10,000 years or so -- the strict [or Young-Earth] creationist view -- has reached a new low. Thirty-eight percent of U.S. adults now accept [Young-Earth] creationism, while 57% believe in some form of evolution -- either God-guided or not -- saying man developed over millions of years from less advanced forms of life. More Catholics believe that humans evolved but God guided the process (45%) than believe in the [Young-Earth] creationist viewpoint (37%). [Young-Earth] Creationism is still the view that half of Protestants and other Christians (50%) hold, but it is not dominant, with 39% saying humans essentially evolved with God's guidance. I'm curious what belief the remaining 18% believe. That aliens implanted life here? 11% of Catholics said "Humans evolved, God had no part in process"; I guess the rest was something like "I don't know"? Besides Young-Earth Creationism, there's also Old-Earth Creationism: the age of the Earth (or Universe) is as old as modern science claims (at least 4 billion years old), but God created all the different kinds of organisms separately, with no major evolutionary developments occurring. The survey did not explicitly ask about Old-Earth Creationism, but did explicitly ask about Young-Earth Creationism. I personally feel that we are living on a young Earth about 6000-7000 years old. God gave Moses the Creation story of Genesis while he was on Mt. Sinai, and Moses wrote it down. What reason would God have to lie to us about the age of the Earth? God never says how old the Earth is. what do you mean when you say you "feel" the Earth is 6000 years old? It is older. Much older. If you want more People to become christians you should give up the silly idea about the Earth being 6000 years old. I mean that I believe the Bible which clearly states the age of the Earth. Of course, this is the problem. These ideas are just as "silly" to atheists as the Creation, and yet, they are central teachings of the Bible. We can't just give up what God has told us because it's become "out of style" with nonbelievers.